I am extremely happy to have an essay included in the Autumn 2014 Make Issue of Grounded Magazine, a publication I respect very much. I do so love contributing to this magazine, one that allows me, with guidance and support from Mollie and Kendall Guillemette, to explore, reflect upon, and laugh about my family and then write about how I parent, and how parenting and my children affect me, while hopefully gaining some perspective on and meaning from this process. Being surrounded within the issues by other contributors undertaking the same process is always inspiring. 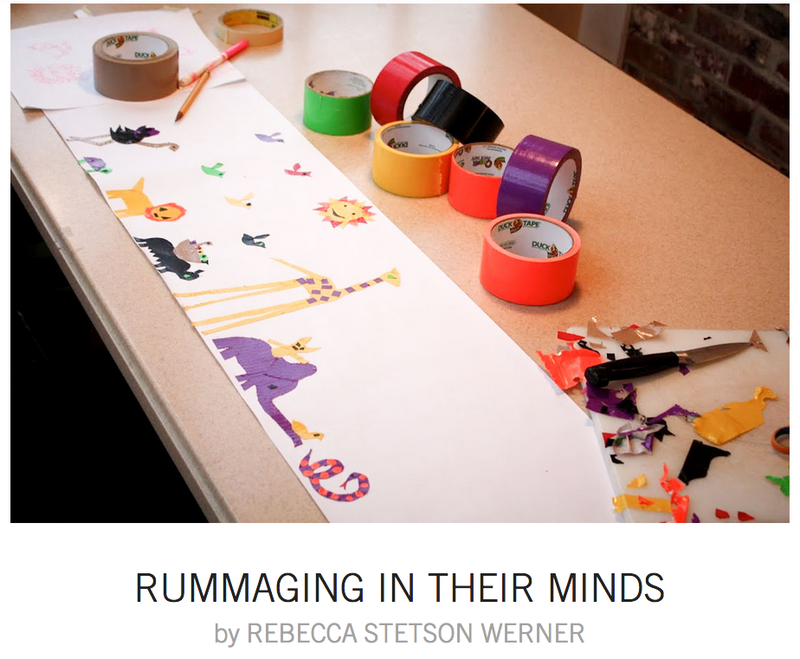 My essay is entitled Rummaging in their Minds and is about the strange, even bizarre art projects I find myself making with Elliott. It starts with a quote I love from Peter Pan. It is the nightly custom of every good mother after her children are asleep to rummage in their minds and put things straight for next morning, repacking into their proper places the many articles that have wandered during the day. If you could keep awake (but of course you can't) you would see your own mother doing this, and you would find it very interesting to watch her. It is quite like tidying up drawers. You would see her on her knees, I expect, lingering humorously over some of your contents, wondering where on earth you had picked this thing up, making discoveries sweet and not so sweet, pressing this to her cheek as if it were as nice as a kitten, and hurriedly stowing that out of sight. When you wake in the morning, the naughtiness and evil passions with which you went to bed have been folded up small and placed at the bottom of your mind and on the top, beautifully aired, are spread out your prettier thoughts, ready for you to put on. From there, the essay veers left toward a neon colored scrappy page of artwork with Elliott and then rolls on toward a homemade leaky tea bag. And then, well, middle school homework flares up and I try desperately to develop my Spanish speaking skills. Oh and it ends with dinner, the risotto only slightly ruined. All the while, thinking about why we do the things we do to try to help our children contain their fears and worries and needs. All the rummaging, tucking, sticking, and hoping. For me, this time at least, my exploration involved duct tape. And Bandaids. Clearly, when I undertook this project, I did not know that such magic and efficient things as Fiskars Duck Edition scissors existed. I invite you to take a look at the essay. 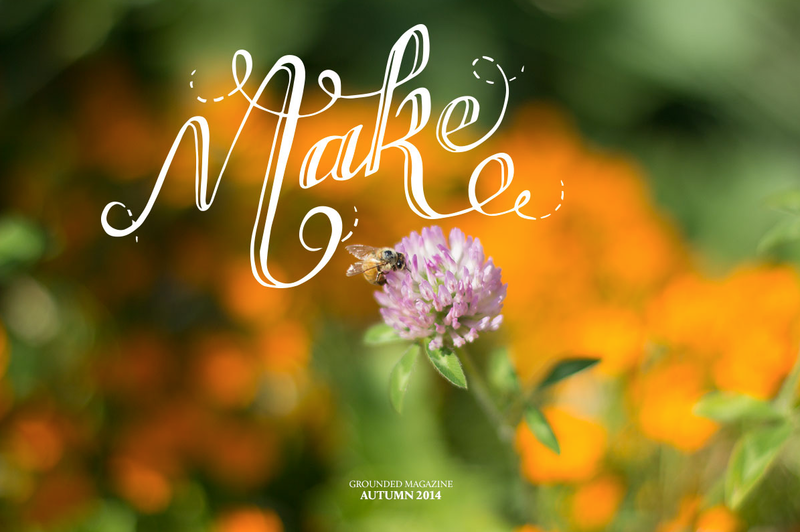 But more importantly at the Make issue overall - it is a good one.